One of my best spots for engagement photos in New York City is Central Park. There are endless amazing photo opportunities. 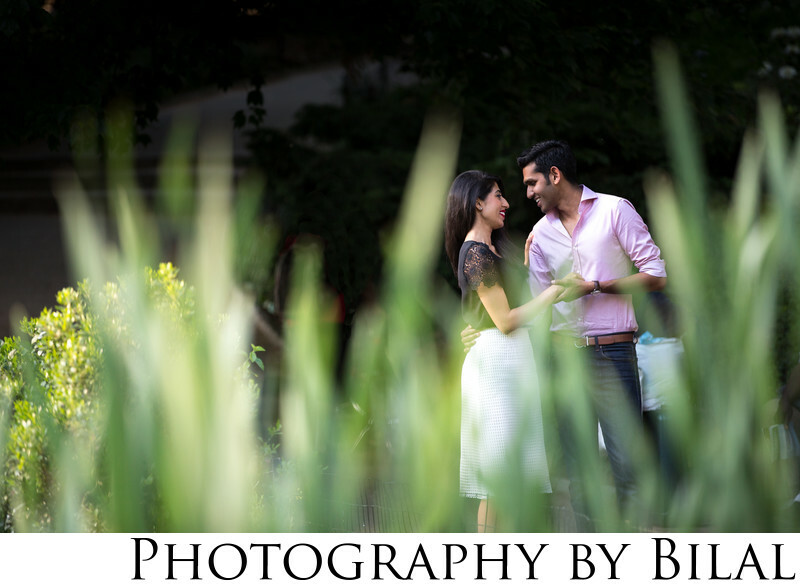 I love this photo because of the tall grass that perfectly frames an amazing moment between the couple. Location: Central Park, NY, NY.